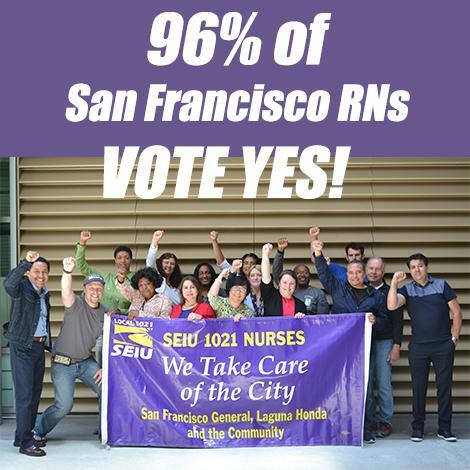 96% of Registered Nurses in the City and County of San Francisco overwhelmingly ratified a new contract today after months of consistent actions highlighting the impacts of inadequate staffing levels and the need for sustainable wages. The one-year contract (which begins July 1) marks a major victory for Registered Nurses throughout the City and County of San Francisco hospitals, clinics and community. It starts with a $0.75% one-time bonus, with a total 3.25% COLA and with a 7.5% Medical Emergency Response Team Differential.